If you are performing artist working across any discipline including physical, musical or immersive theatre, acrobatics, aerial arts, magic and cabaret you are in the right place. If you are a musician who plays an instrument on stage or a DJ, this is not the place for you. Please check the Get Involved Page HERE for details of when we will be accepting these applications. Likewise, If you want to be involved in the event in any other way, head to the Get Involved page HERE to see where else your skills might fit into the mix. 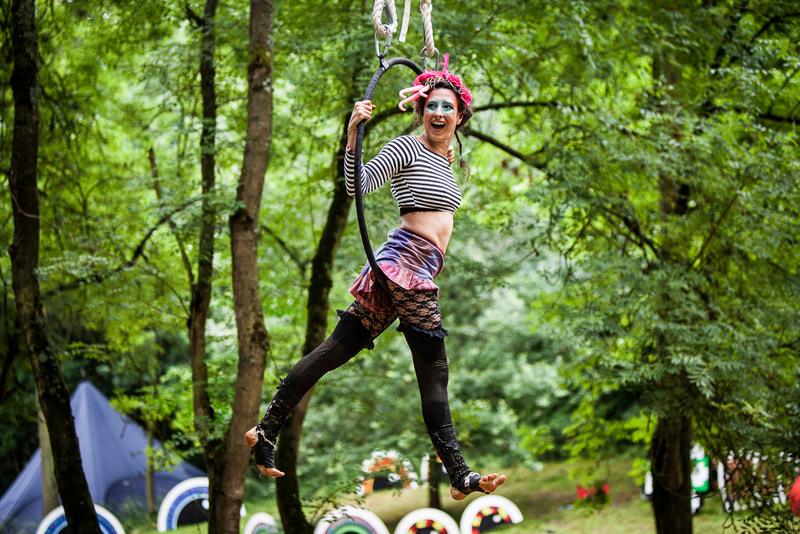 Welcome to the 2019 Noisily Festival Performing Arts Applications!!! This year we are delighted to welcome back our Performing Arts Director Roo and his incredible team to the Festival. Over the past few years Roo has curated the performance elements throughout site, bringing his band of exceptionally talented humans who bring the woods to life. 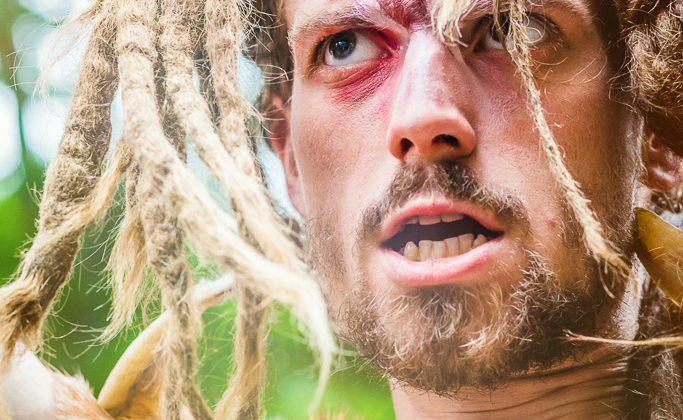 Throughout the weekend the woods teem with walkabout performers, fire and aerial shows, and even a tribe of cave folk who seem right at home in modern day. If you are a performer and would like chance to bring your skills to Noisily, visit our get involved page for applications. 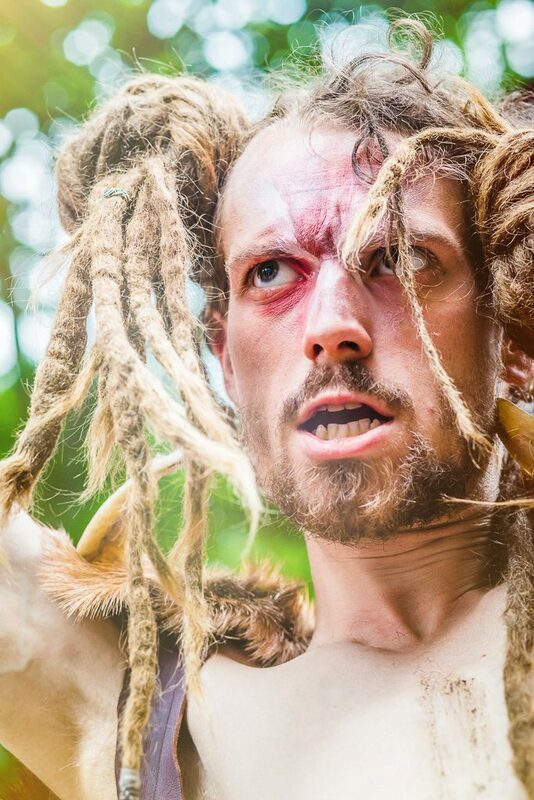 Noisily Festival 2018 was a year that surpassed all others, with aerialists, fire eaters, acrobats, cave people and more. Roo and His team really excelled himself and raised the bar! There wasn’t a moment without wonderment, and as such we’ve got huge expectations for what 2019 will bring. Please make sure you read the information in the FAQ’s and the application carefully, if you still have any questions after this please use the Anything Else section at the end of the application. What dates do applications open? Applications are now open and we will close them at the end of April, with a first review of applicants at the end of March; please apply as soon as possible as to avoid disappointment. If you agree to it, we can keep your details on file in case any one drops out and also for next year. We can then let you be one of the first to know when the applications open next year. We will begin to review applications and make notes on application through eventree around the end of March you should get a notification from eventree or an email if we have any questions. Please note, We do not employ someone to look after performances until the beginning of March so please be patient and allow them time to get back to you. What areas do you have to perform in? Our main performance area lays in the middle of our stunning site, in the form of a stage with PA system and natural amphitheatre thanks to the round hill surrounding it. We will also be looking to add more performance hubs like this at other points in the festival, and in our Mind Body Soul healing area and campsite. Do you accept applications from poi, hula hoop and fire performers? If you don’t have a specific choreographed performance, you are welcome to apply but we will not be able to get back to you until May once we have programmed the main performances. Are you able to pay performers? We have budget available for skilled and experienced performers looking to work wit our existing team. Unfortunately we cannot offer financial remuneration to everyone. In some cases, we can offer performers a plus one. In some circumstances contribution toward fuel costs is available with arrangements being specific to each application. We will ask you for details about the basis on which you are able to be involved on the form. If I’m not successful will you tell me why? All applications are looked at and where possible we will give you feedback on why you were not successful, please be aware this is a big job and we are not always able to reply to everyone. If you have any further questions please use the “Anything Else section” of the form, if it’s more urgent please email the team at info@noisilyfestival.com– please make sure you have read all the info really carefully to make sure your question is not already answered.